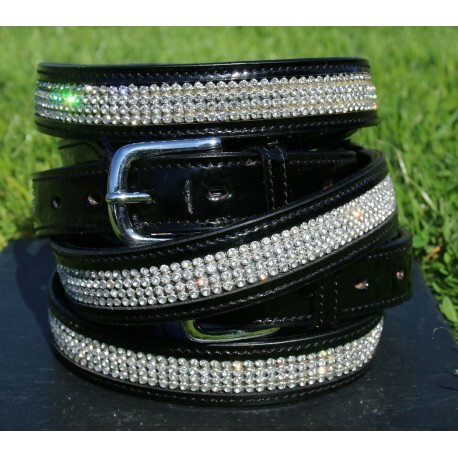 Show stopping diamante encrusted black patent leather belt. 1'' wide, making it ideal to wear with breeches or jeans. Belts are measured from buckle end to middle hole, so please consider this carefully when ordering your size. We recommend measuring a belt you already have to ensure this is correct.